Yesterday’s announcement that Sony was bidding on a reimagining of Robin Hood was scant on details, save for the fact that it would be set “in the world of” the legendary folk hero. But this is 2014, and “worlds” no longer cut it. 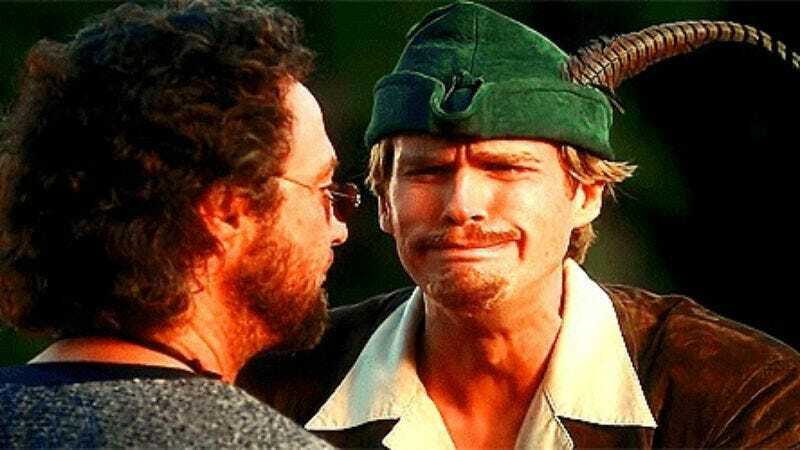 As The Hollywood Reporter updates, Sony is shelling out seven figures for an entire Robin Hood universe, thanks to a pitch that positioned Robin and his Merry Men as a medieval, nothing-but-Hawkeyes Avengers, each with their own series of movies exploring the adventures of Little John, Friar Tuck, Will Scarlett et al. “One could say they were the superhero team of England’s Middle Ages,” says THR of one person who is wrong, yet undeniably seven figures richer. One of those people is Cory Goodman, who wrote the Paul Bettany-starring Priest and is currently rebooting the Underworld franchise. One could say he is the superhero of tedious vampire movies. The other is Jeremy Lott, who co-wrote the sci-fi action movie Lore with Goodman, as well as the supernatural mystery The Falling, which have Dwayne Johnson and Zac Efron attached, respectively. One could say he is the superhero of creating movies that sound disappointing even with just a few minor details. To wit: Their new Robin Hood is described as having a tone similar to “Mission: Impossible and the recent Fast & Furious movies”—which is to say it emits a shrill, piercing tone that clouds the minds of studio executives, who hear the names of successful, yet completely unrelated movies jumbled together, spurring them to hand over seven figures involuntarily. It’s also titled Hood, to convey that this 14th-century hero of English folklore robs from the rich to give to the streetz. This idea will be purchased for $1 million.